Main Point: Jesus is my leader! It’s time to pack your bags and head to camp for a camping adventure! We’ll learn how we can all be leaders who set an example for others in everything we say and do. 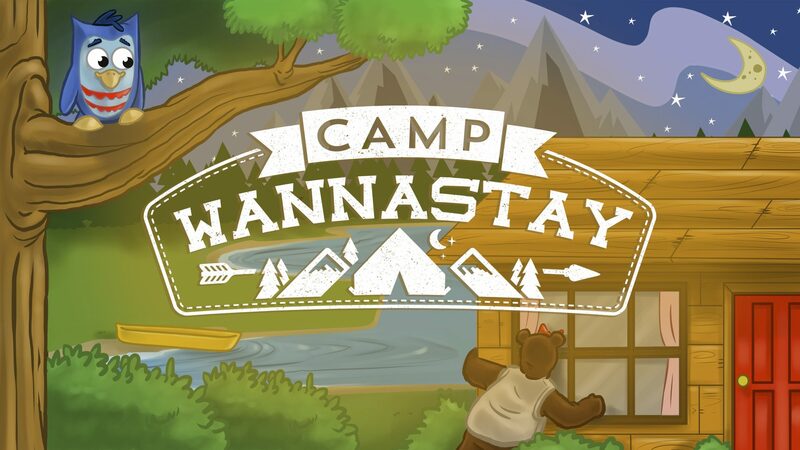 From going on a bear hunt to finding our friend Brownie Bear, receiving camp mail from our favorite Quest animals, to meeting around the campfire to hear the BEST stories from God’s word, you’ll WANNASTAY at camp all summer long! 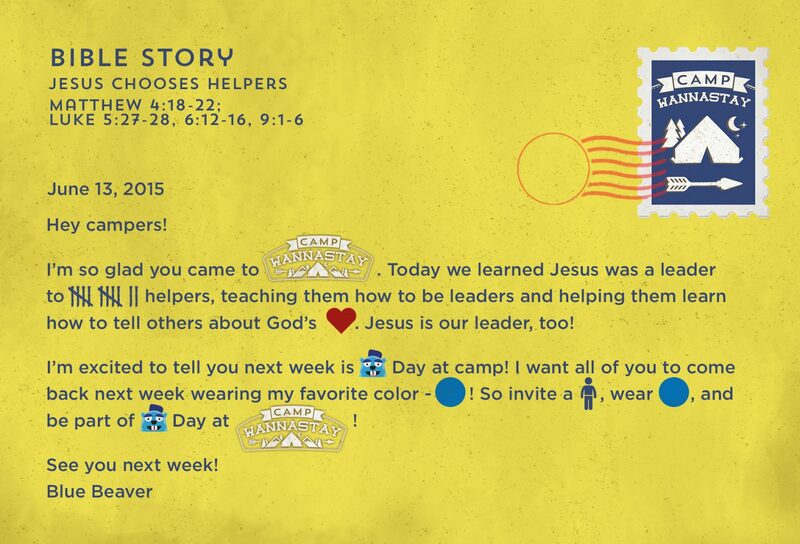 In our first weekend at camp, we heard a campfire Bible story from Brownie Bear and learned “Jesus is my leader!” from the story of how Jesus chose his helpers, called disciples. 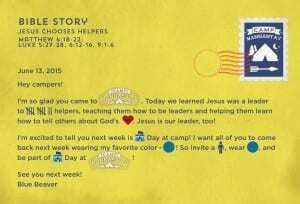 We also received camp mail from one of our favorite Quest Animals – Blue Beaver! Make sure your child wears BLUE this weekend to Quest to celebrate Blue Beaver Day at Camp Wannastay! Who is the leader you learned about today? What good things did he or she do? How can you be a leader like him or her?